Your fabulous comments are not publishing. I've even sent one to myself to test and it failed. Does anyone know how to fix this bug? Email or Tweet moi s'il vous plaît. Feeling nervous about your little one's admission interview with Monsieur Director at the exclusive International School in Paris? La Mom's here to help. I've got a sure fire way for your child to nail their admission interview. It's called The FN Method and it's been tried and tested by La Mom, Georgia Mom, and South Carolina Mom. It works! And it only costs $7.00! Never heard of The FN Method? Well, you can find it at WHSmith's on the Rue de Rivoli across the street from Les Tuileries gardens or on Amazon. 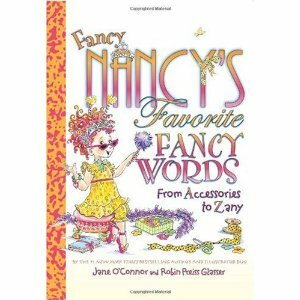 Just look for Fancy Nancy. 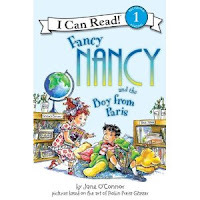 Step 1: Start reading Fancy Nancy to your petit brainiac at least six weeks before the big day. Step 2: Focus on just two or three fancy words for your little one to use during the interview. ==> "I love Paris because there are canines everywhere. Canines are my favorite animal." ==> "My nanny took me on an excursion to the Musée D'Orsay yesterday." ==> "I dropped my mom's macarons on the parquet and they broke. It was a fiasco!" Monsieur Director will EAT.IT.UP. If he's French, he may even let an "Oh la la" slip out. No more coaching your kid about what to say or not during the interview. Just teach him a few new Fancy Nancy words to drop as if it were as natural as breathing and expect that acceptance letter to arrive in your mailbox within 24 hours! Note: The Fancy Nancy Method also works if you're trying to get your child into an exclusive school in the US or UK. "I'm looking forward to making new amis at this school. Ami is French for friend." "My dolly's name is Belle. Belle is a French word for beautiful." See how easy it is? Looking for a chic restaurant-épicerie to try in the heart of the Latin Quarter? La Mom recommends DA ROSA, where the wine is excellent and you can feast on tapas and twelve different types of ham from Italy, Portugal, or Spain. The people watching isn't bad either. La Mom saw Bradley Cooper dining here! The best tables are en terrasse. Cool Frenchie blog alert: Check out Beadboard UpCountry, a Euro-Country lifestyle and design source. Beadboard UpCountry brings you casual elegance of the country lifestyle, reflecting a calmer, softened palette with less clutter, natural fiber fabrics, slipcovers of all kinds and French touches.